Using our unique process, white chocolate is gently heated over many hours. Milk proteins and sugars begin to undergo the Maillard reactions, developing into rich layers of toffee, toasted nuts, and dulce de leche. 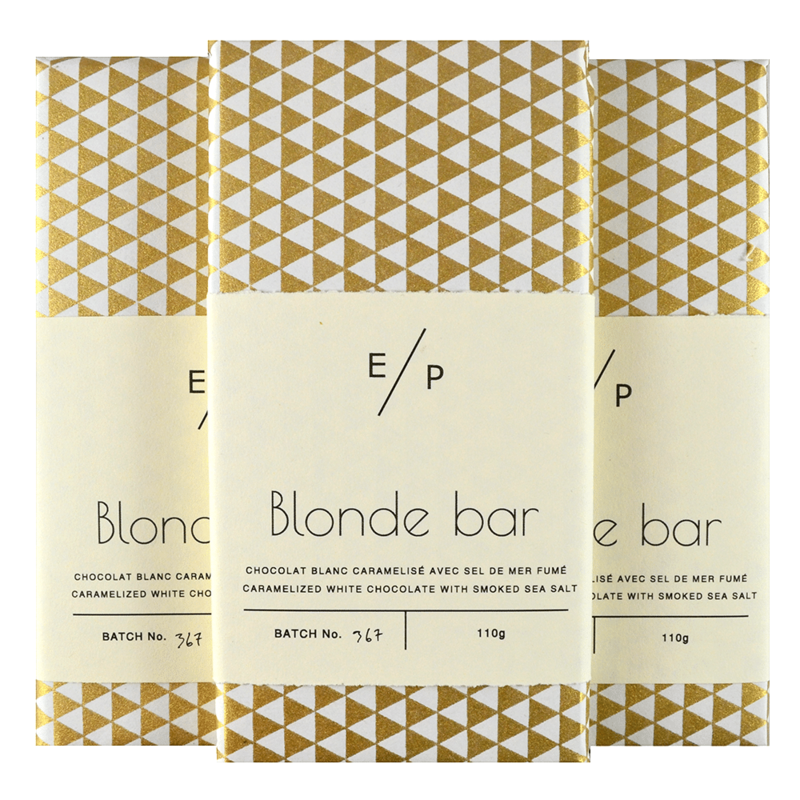 The back of every bar is lightly seasoned with Maldons smoked sea salt for a savory finish.